4. Hassakorn Wattanasarna, Wattana Photankhama, Tosawat Seetawana, Rattikorn Yimnirunb, Chanchana Thanachayanontc, Napatporn Petnoid, and Soodkhet Pojprapaid, Dielectric and ferroelectric properties modification of 0.7Pb(Mg1/3Nb2/3)O3–0.3Pb(Zr0.52Ti0.48)O3 ceramics by Ba(Zn1/3Nb2/3)O3. Materials Research Bulletin. 76, 292–299, (2016). 5. J. Kongpimy, H. Wattanasarn, T. Seetawan, Synthesis and Dielectric Properties of [(K0.5Na0.5)0.935Li0.065]NbO3 Added with Mn for Piezoelectric Ceramic. Key Engineering Materials. 675-676, 635-638, (2016). -Synthetic piezoelectric materials type PZT and free-lead. 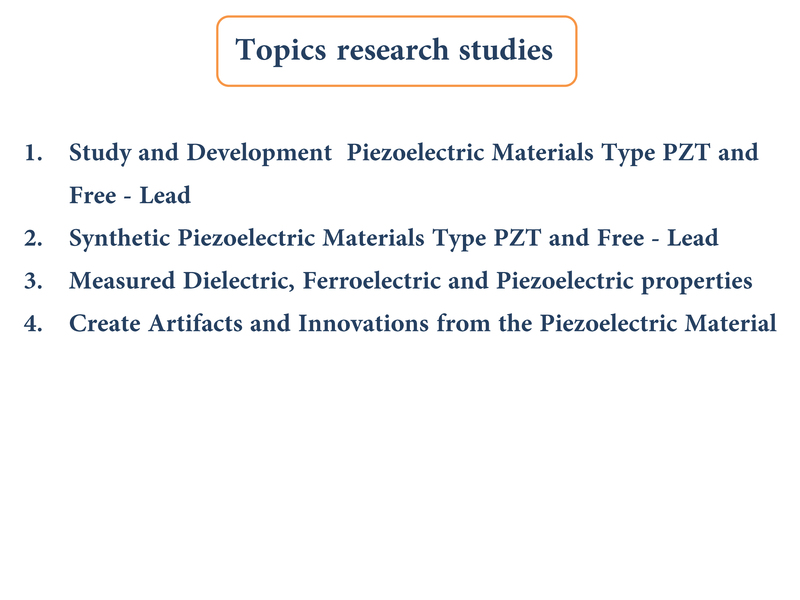 -Development property and performance of the piezoelectric materials type PZT and free-lead. 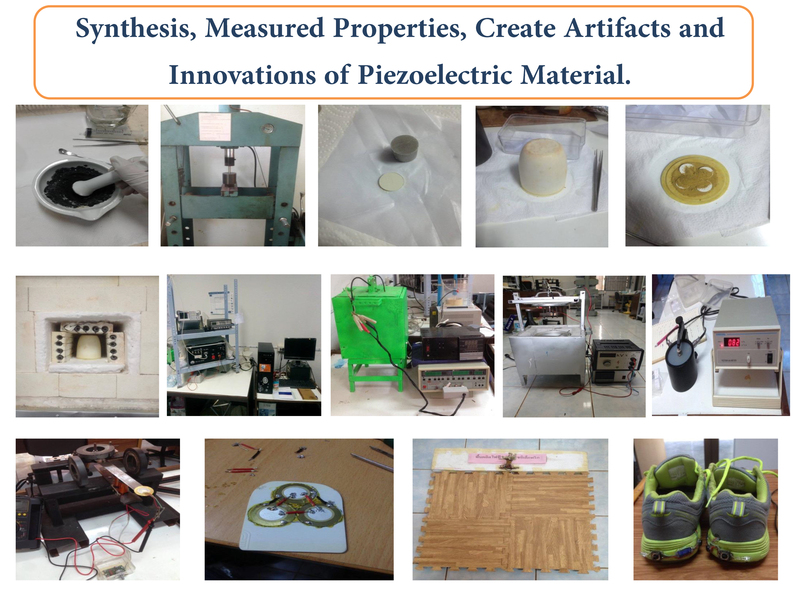 -Creating inventions and innovations piezoelectric materials type PZT and free-lead. 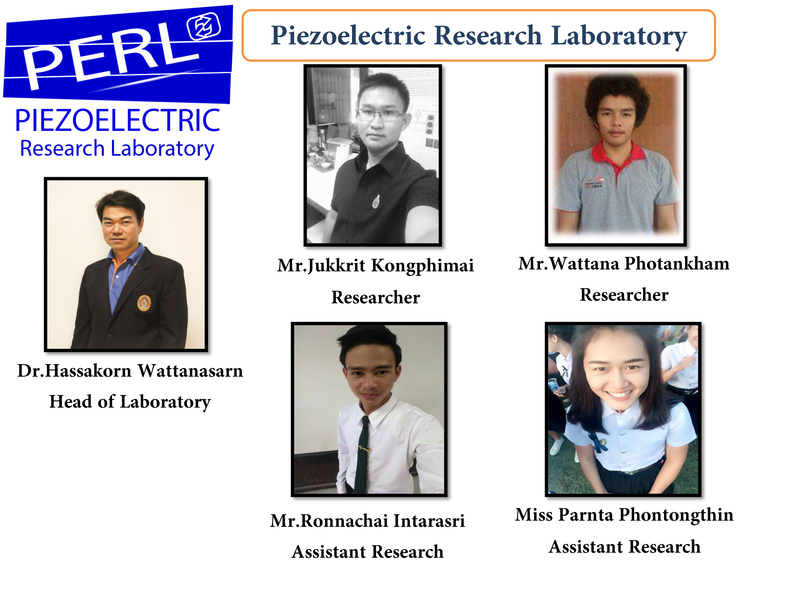 -Developed piezoelectric research to be accepted in the ASEAN and internationally. 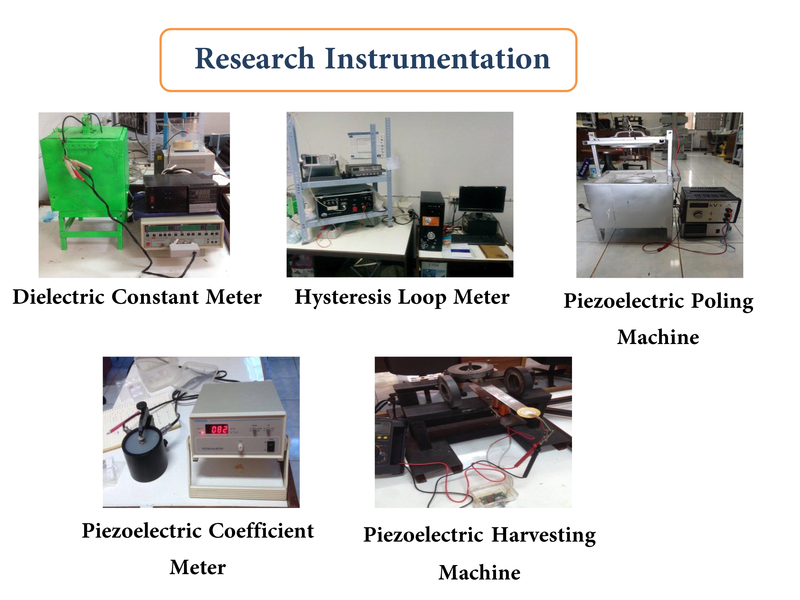 -Create a network research piezoelectric technology.